Basics are must-haves. We see a white T-shirt teamed with ripped light blue jeans and black trainers. 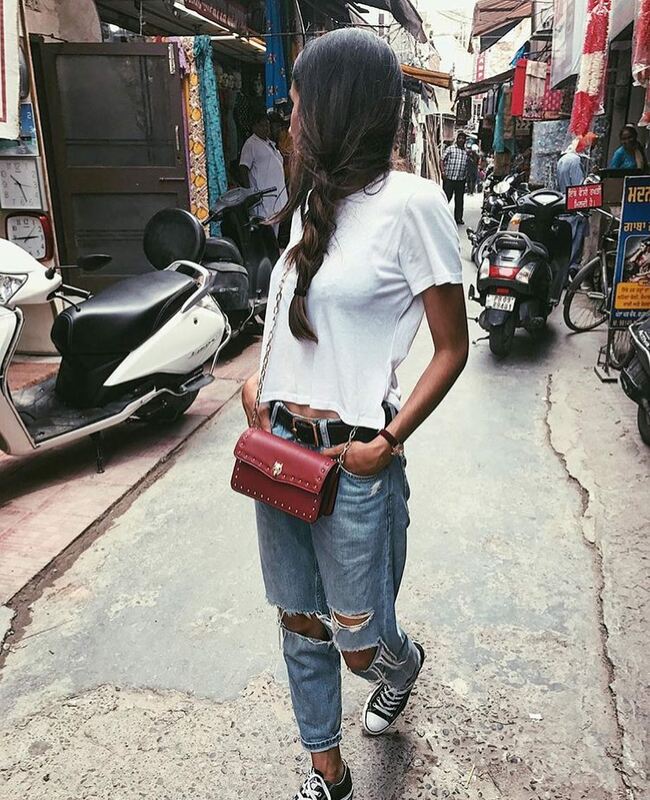 If you are planning to go to India this Summer, then I do recommend to keep things simple and relaxed, that’s why jeans and a basic tee is a good choice for Summer vacation in India.